I Hope was co-written by Ferguson and is an uplifting, piano-driven lead single, sings of a ex-love, of a break up of a relationship, yet wishing them well in well in the future. With a simple yet beautiful directed video, with Ferguson in an stylish apartment over looking the lights of a city and shows various couples going through difficult times and the burning feeling in you get in your heart breaks. Ferguson has strong powerful vocals on this track and certainly gets us excited about the forthcoming album. You can definatitly hear her musical influence of Aretha Franklin, Christina Aguilera and Amy Winehouse through out the track. Speaking if the album Freedom, the singer revealed it "has been hard to make" and that she is writing about her babies Lillie May and Karl. 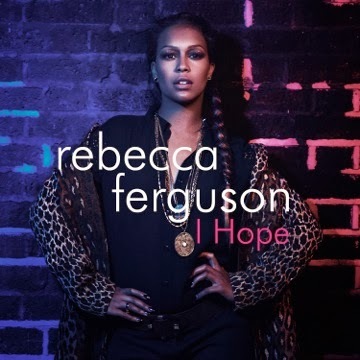 Rebecca co-wrote the entirety of her new album, working mainly with new collaborators including Jarrad Rogers, with whom she wrote 5 tracks. As well as Jarrad, she also worked with Mr. Hudson, Matt Hales, Toby Gad and TMS, and regular collaborator Eg White. I Hope will be released on November 24th and available on iTunes pre-order now, followed by Ferguson's second studio album, Freedom, in December 2013..!